Premier Plus Shipping - Northern Safety Co., Inc.
FREE Ground Shipping + Much More! We know you're always looking for ways to get the most out of your safety and industrial supply budget. That's why Northern Safety is proud to bring you Premier Plus, our new and exclusive savings program. With your annual membership subscription, you'll enjoy 100% FREE ground shipping on all eligible products, premium discounts, deals, and more! Plus, you'll also enjoy the added value of Northern Safety's wide product selection, fast shipping turnaround, and top-notch customer service. Best of all, you can try Premier Plus for 30-days absolutely FREE! You'll start saving on your orders right away! 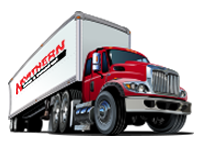 We've made it easy to save money on expensive freight charges. As a Premier Plus member, you'll get FREE Ground Shipping on hundreds of thousands of eligible stock products*. Order as much as you need, when you need it, while reducing your bottom line. 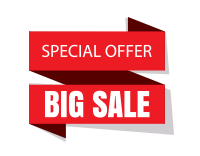 With Premier Plus you'll gain access to exclusive order discounts and free promotional items. You'll also receive offers featuring free NSI® products, including safety glasses and gloves, allowing you to experience the quality and value of the Northern Safety brand. Shop our continuously growing selection of safety, industrial, and MRO products. Don't see what you need? Contact us! Our trained industry specialists can help! To ensure you get your order fast, we provide same day credit approval on 98% of all credit applications. You can start buying (and saving) right away! All of our products are 100% guaranteed…period. If something isn't exactly as you expected, we'll replace it, issue a full credit, or give you a complete refund. We make returns easy so you can shop with confidence. If you're not satisfied with something you've purchased from us, you can return it. We do not charge restocking fees on our products. * Shipping is free on stock products shipped via ground service directly from Northern Safety to a destination within the contiguous United States. Some exceptions apply. See Terms & Conditions for additional program details.